pathiri recipe | ari pathiri | malbar rice pathiri | kerala pathiri with detailed photo and video recipe. 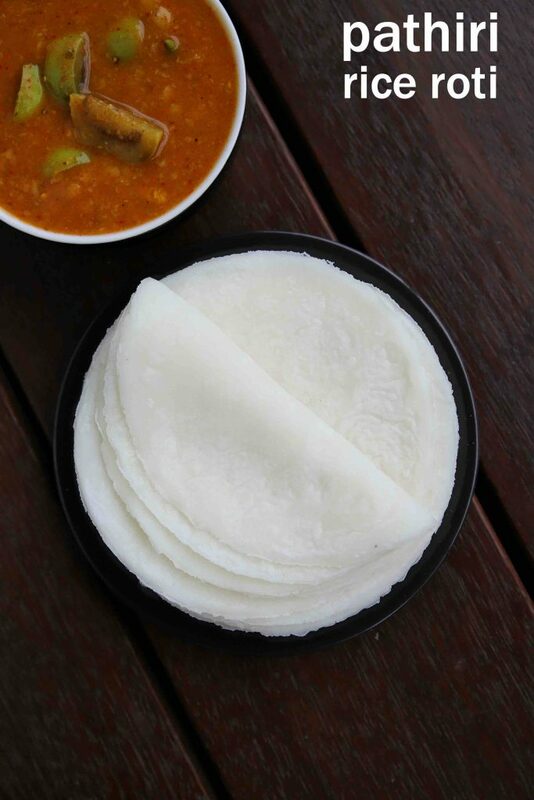 a simple and healthy soft rice flatbread recipe made from rice flour and served with meat curry. a unique delicacy from the malabar or kerala cuisine, popular among muslim community. it is typically made during the fasting season of ramadan or for any special occasion, but can also be served for dinner. pathiri recipe | ari pathiri | malbar rice pathiri | kerala pathiri with step by step photo and video recipe. kerala cuisine or malabar cuisine is famous for their rice-based dishes and recipes which can be served for breakfast, lunch and dinner. ari pathiri or malbar rice pathiri is one such rice flatbread made for special occasions or for dinner. it tastes great when served with meat curries, but also equally tastes great with simple veg kurma or chutney recipes. 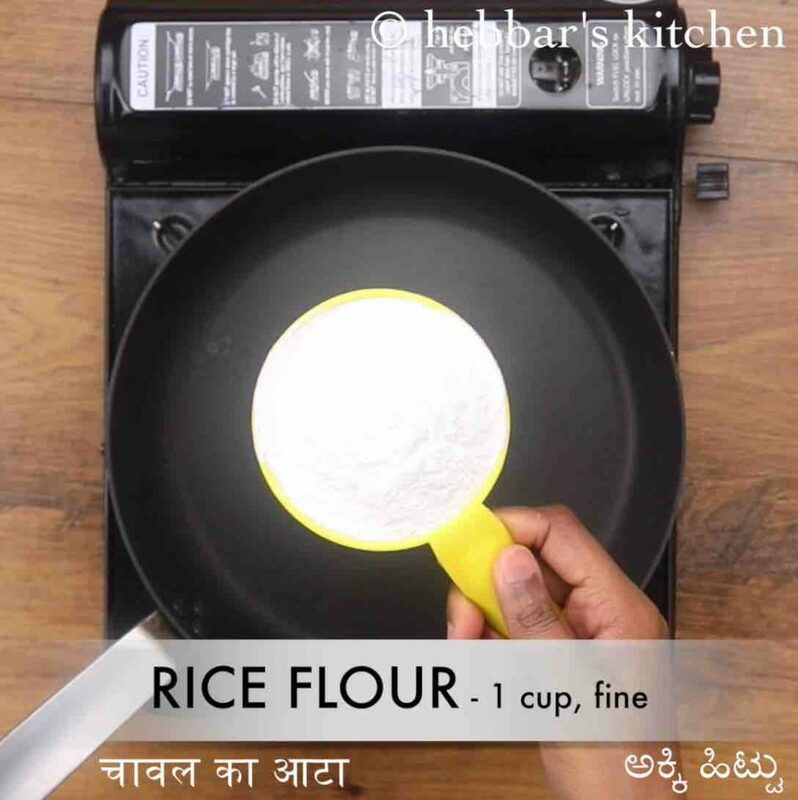 well, the recipe for malbar rice pathiri looks very easy and simple, but it can be complicated if not made properly. basically, this is my third attempt for this recipe and i was missing with the consistency and smoothness. 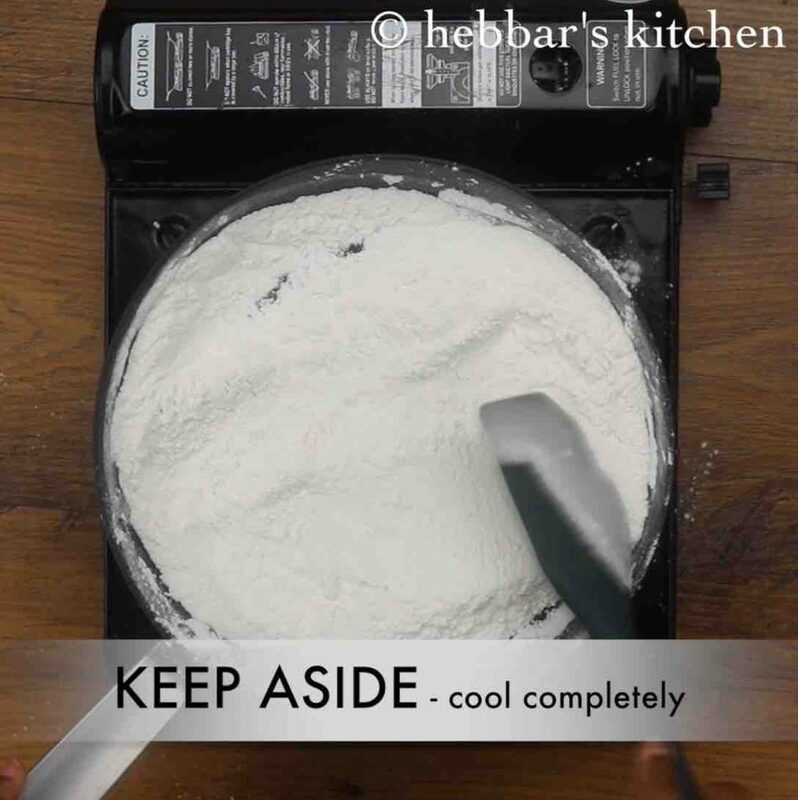 in other words, the rice flour has to be mixed well till it reaches a smooth consistency. 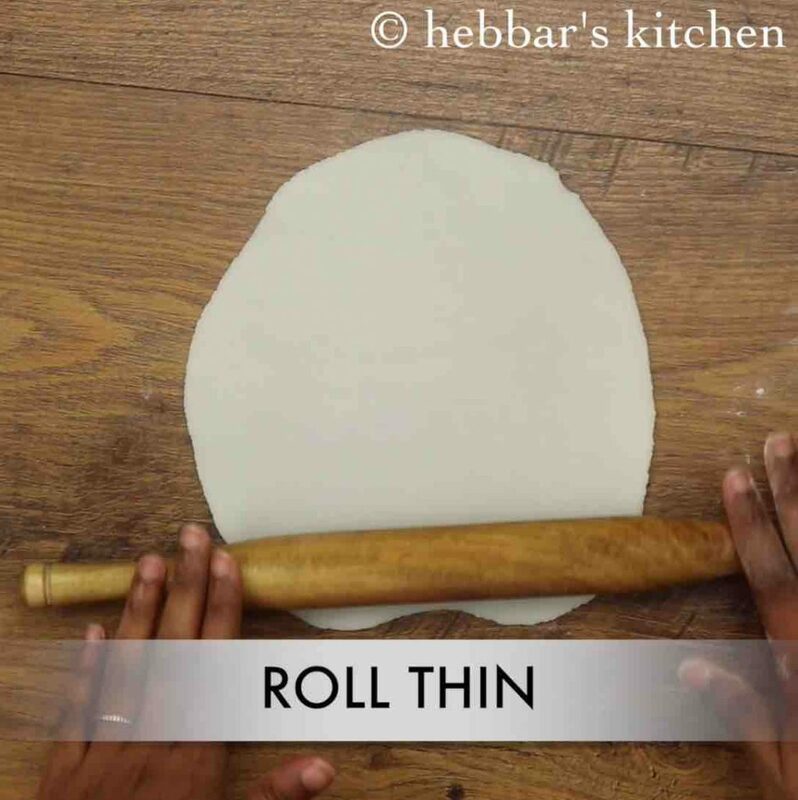 note that, the dough for this roti is prepared differently as compared to any other wheat or plain flour based roti. 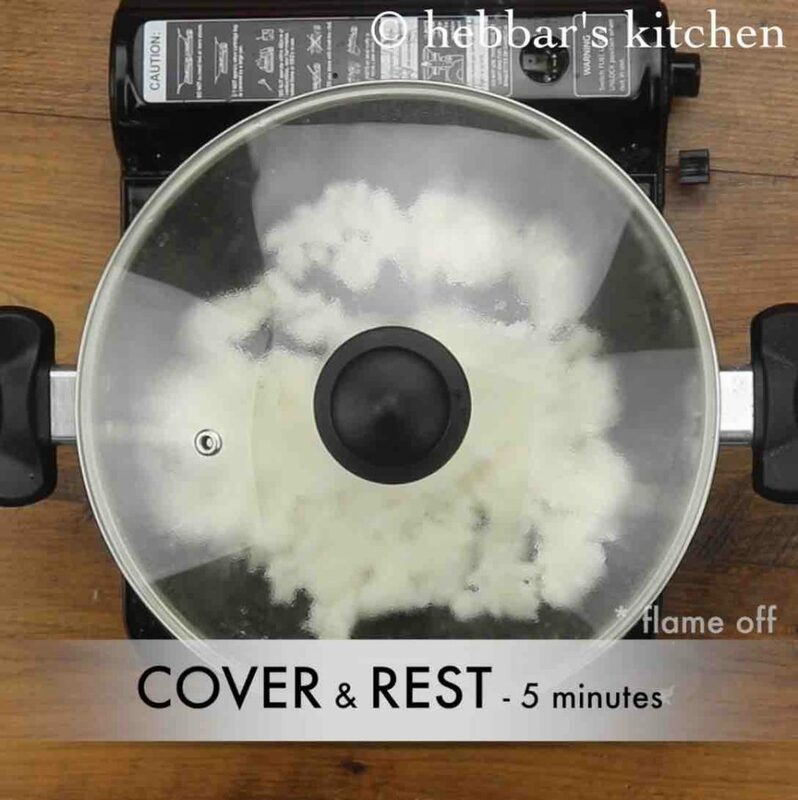 the rice flour has to be mixed to a boiling water and stirred continuously. later it has to be rested for 5 minutes, which is followed by kneading when it is still warm. typically it is done via hand, but it can also be done via metal or wooden spoon. furthermore, i would like to add some tips, suggestions and recommendations for this ari pathiri recipe. firstly, there are 2 variants of rice flour available, i.e fine and coarse rice flour. and i would heavily recommend using fine flour for this recipe which yields better results. 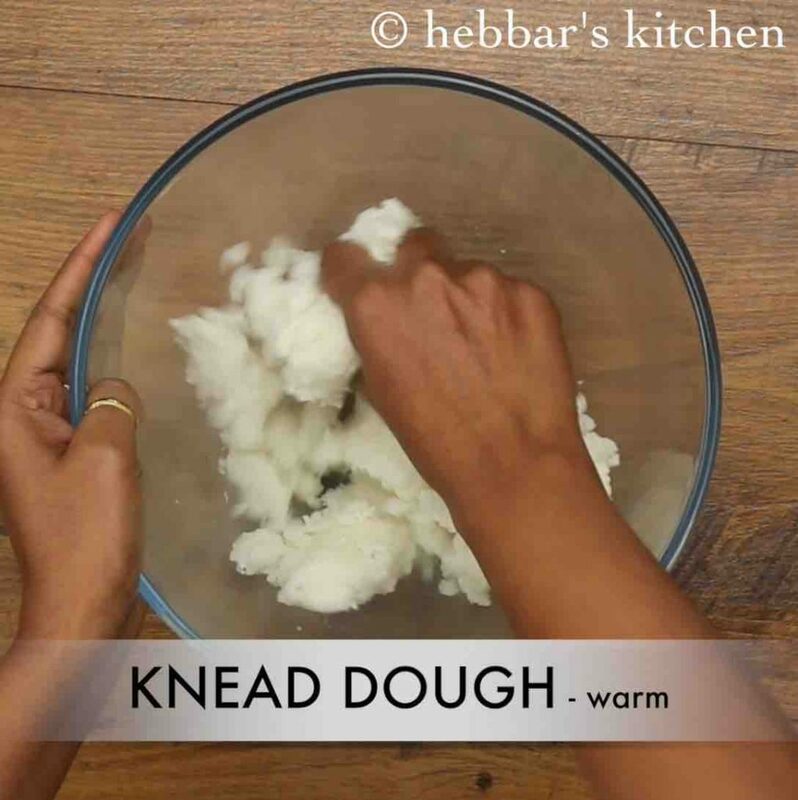 secondly, while kneading the dough make sure to grease hands with coconut oil to prevent from sticking. also, if the dough turns dry, sprinkle only hot water and never use cold water as the dough need to be warm to make soft pathiri. 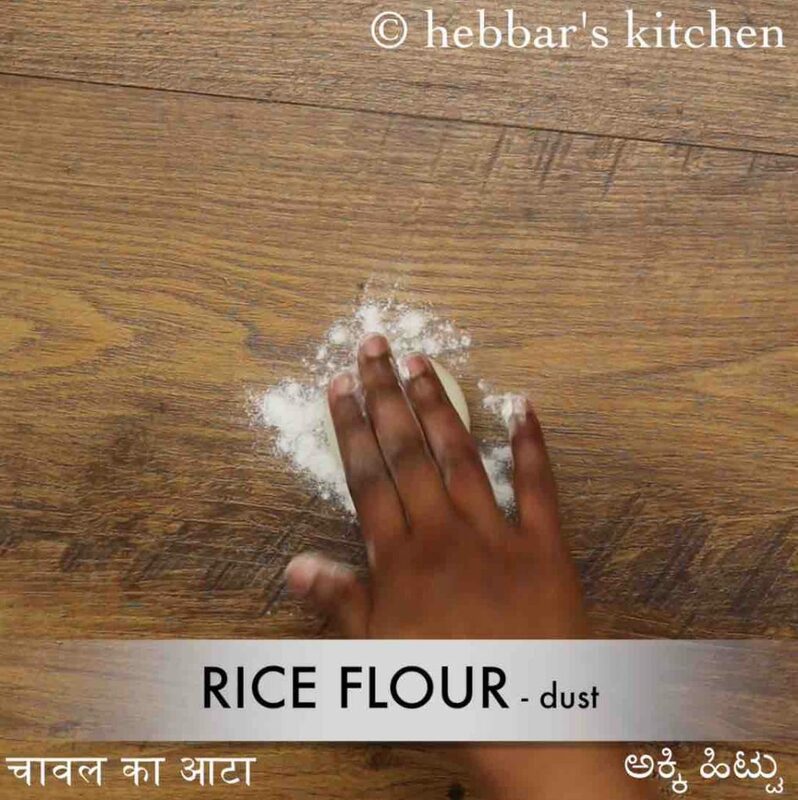 lastly, clean the tawa every single time after cooking pathri to get white and clean malabar rice roti. 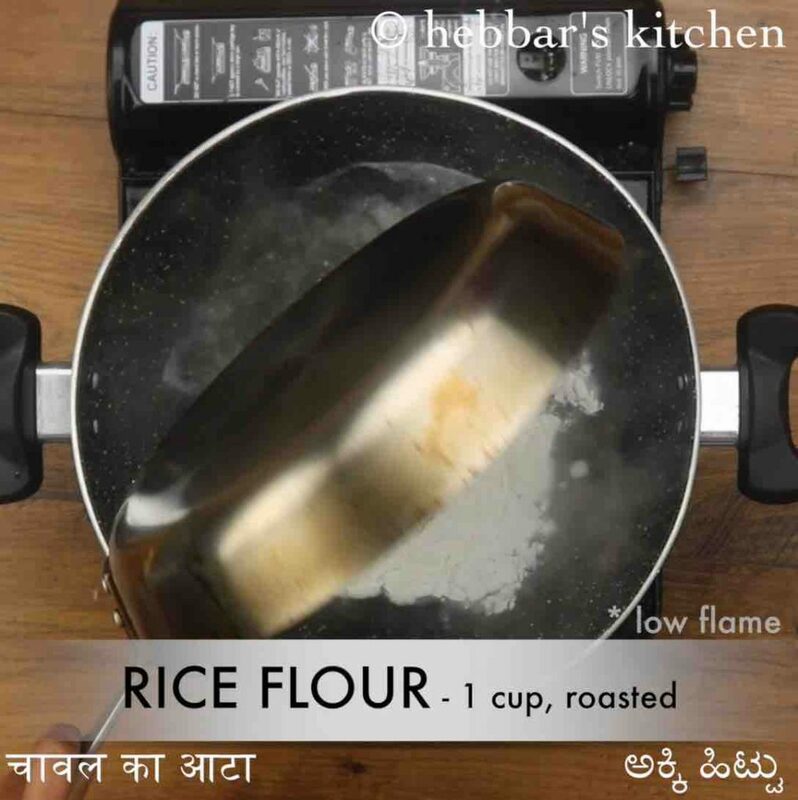 firstly, in a tawa dry roast 1 cup rice flour on low to medium flame for 5 minutes. 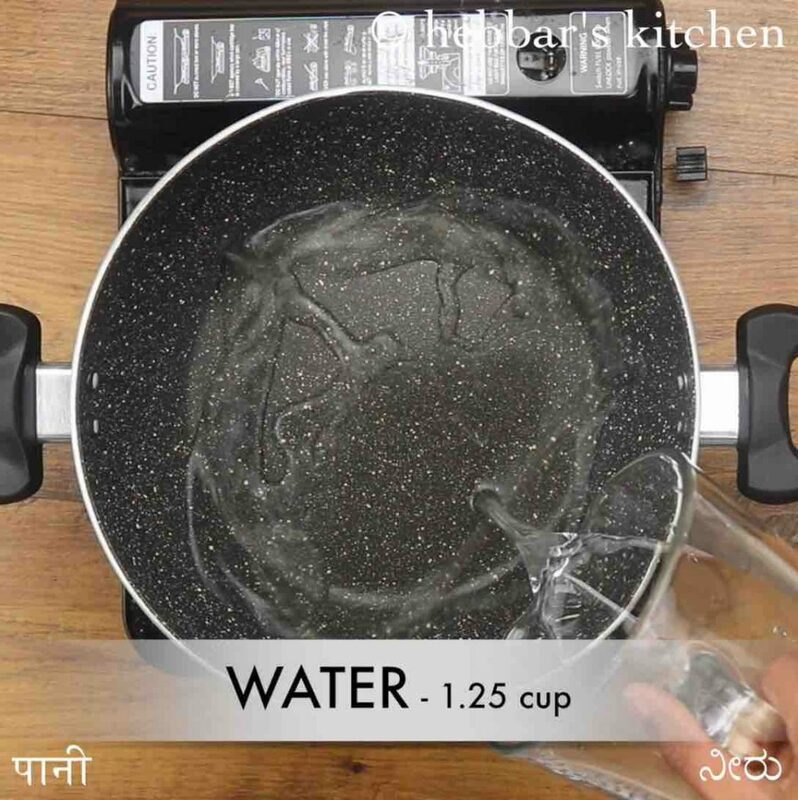 in a large kadai take 1¼ cup water, 1 tsp coconut oil and ½ tsp salt. get the water a vigorous boil. further, simmer the flame, and add roasted rice flour. mix continuously until the dough is formed. now turn off the flame, cover and rest for 5 minutes. furthermore, with oil greased hands, knead and combine together. 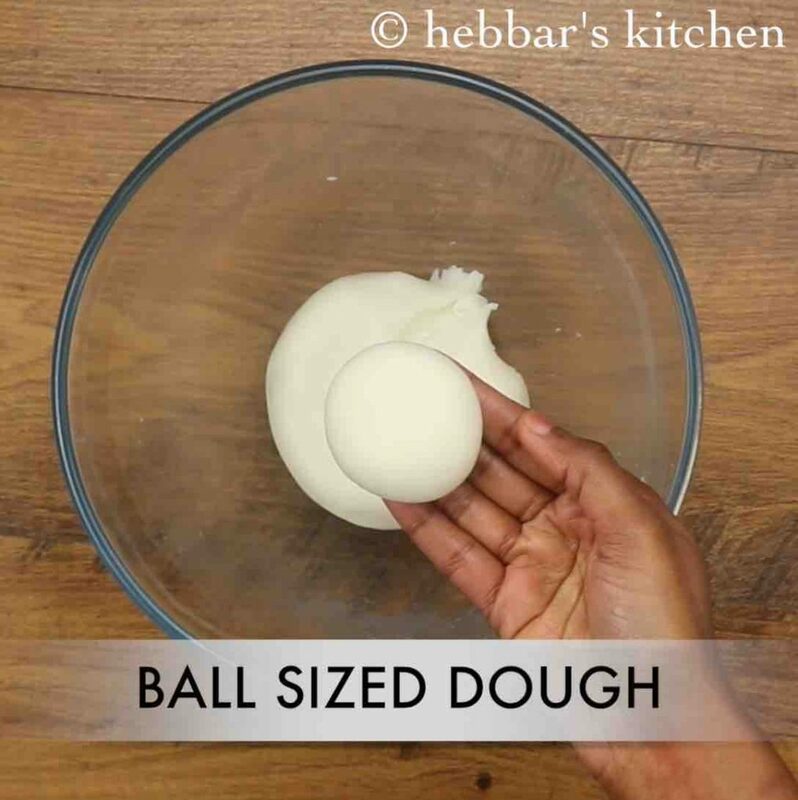 pinch a ball sized dough. remaining dough cover and keep aside, do not allow to dry. dust rice flour slightly and start to roll. roll as thin as possible dusting rice flour as required. 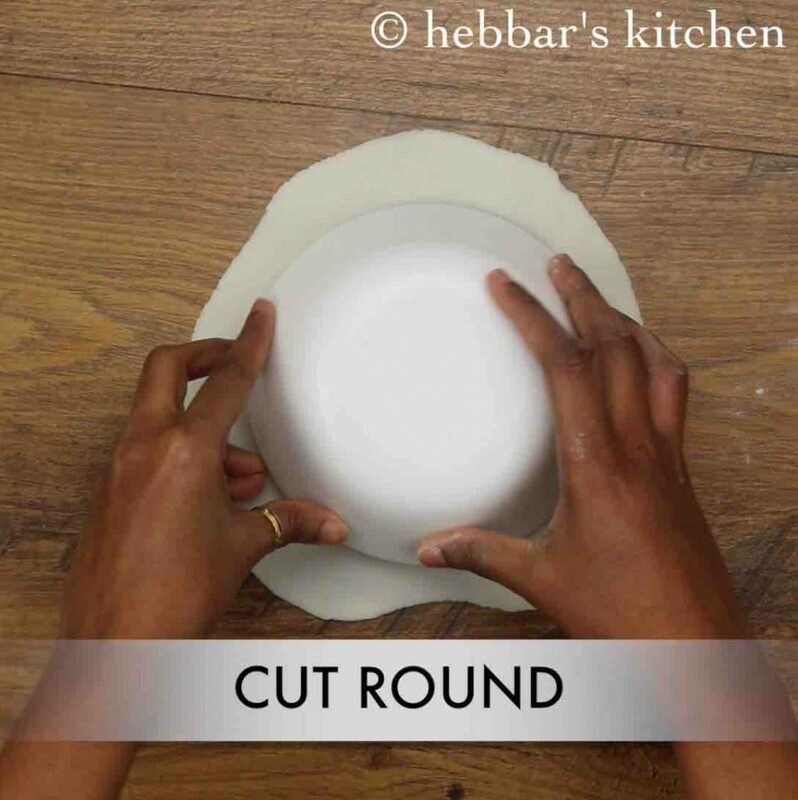 cut the pathiri to round shape to seal any broken edges. 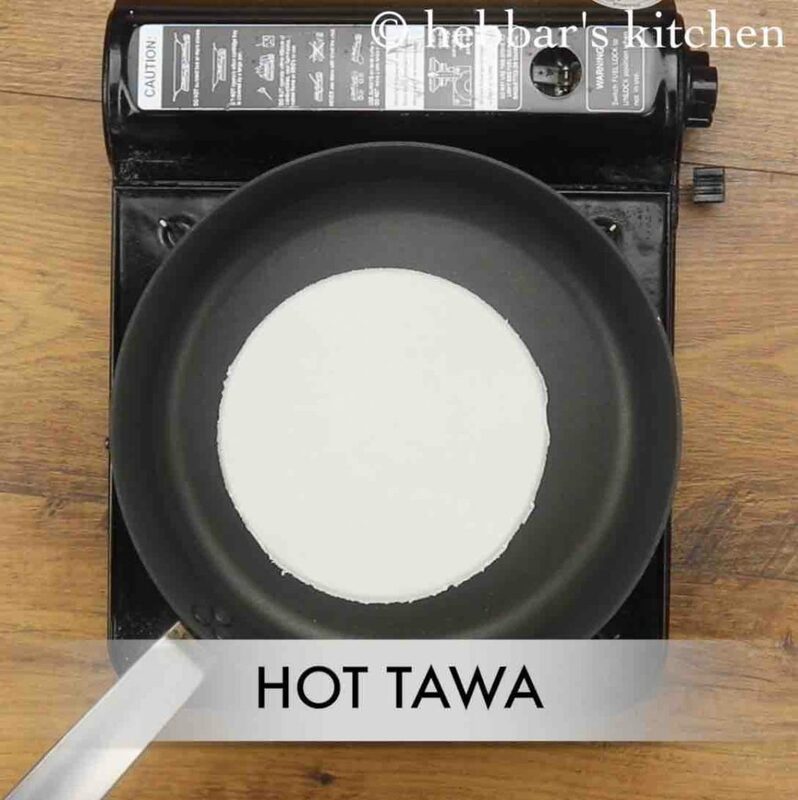 now heat non stick tawa to medium heat and place rolled pathiri / rice roti. 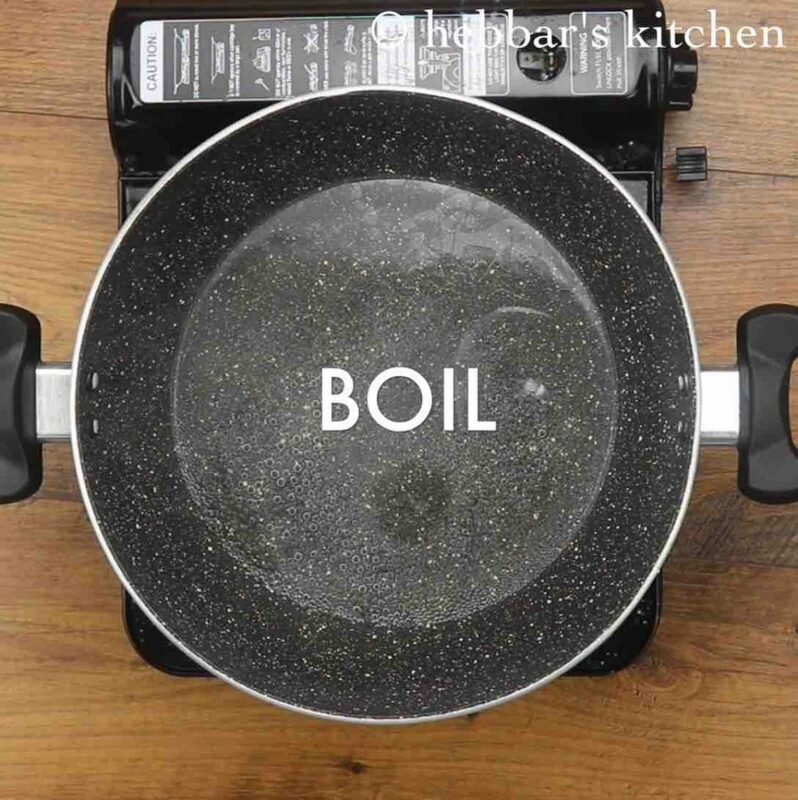 cook for 30 seconds on low to medium flame on both sides without browning it. press gently puffing up the pathiri. do not roast more as the roti turn hard. finally, serve ari pathiri dipped in coconut milk or with curry or chutney. cool the roasted rice flour to room temperature. 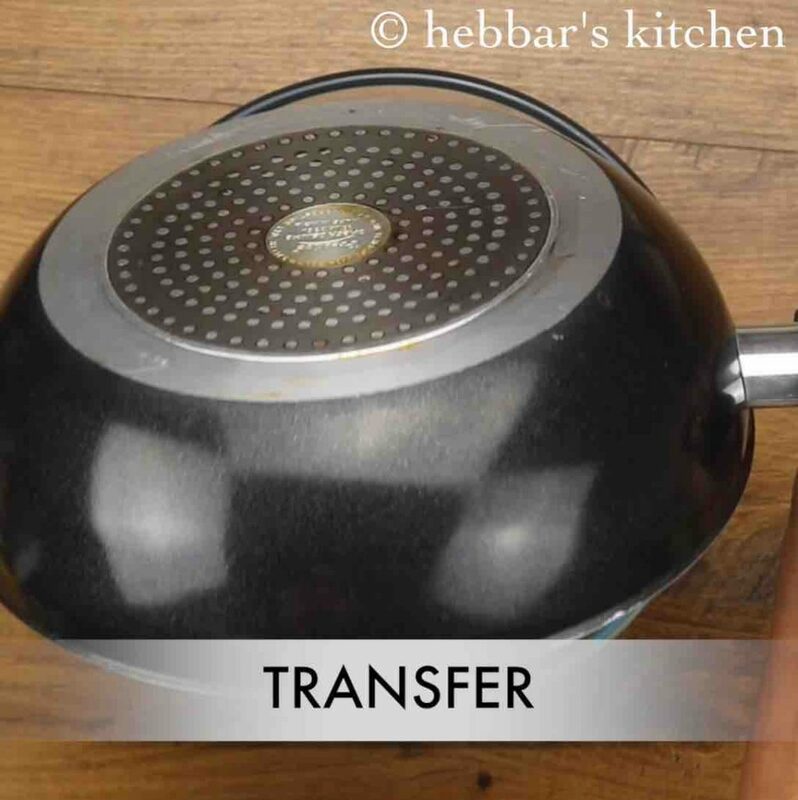 transfer the dough to a large bowl. 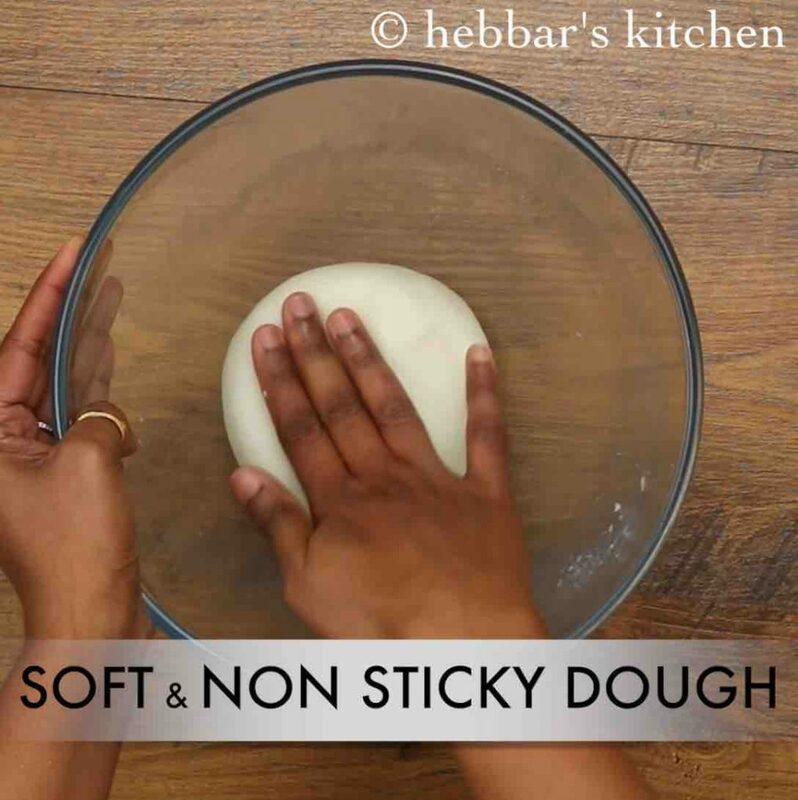 punch and knead to smooth non-sticky dough. be careful, as the dough is going to be very hot. 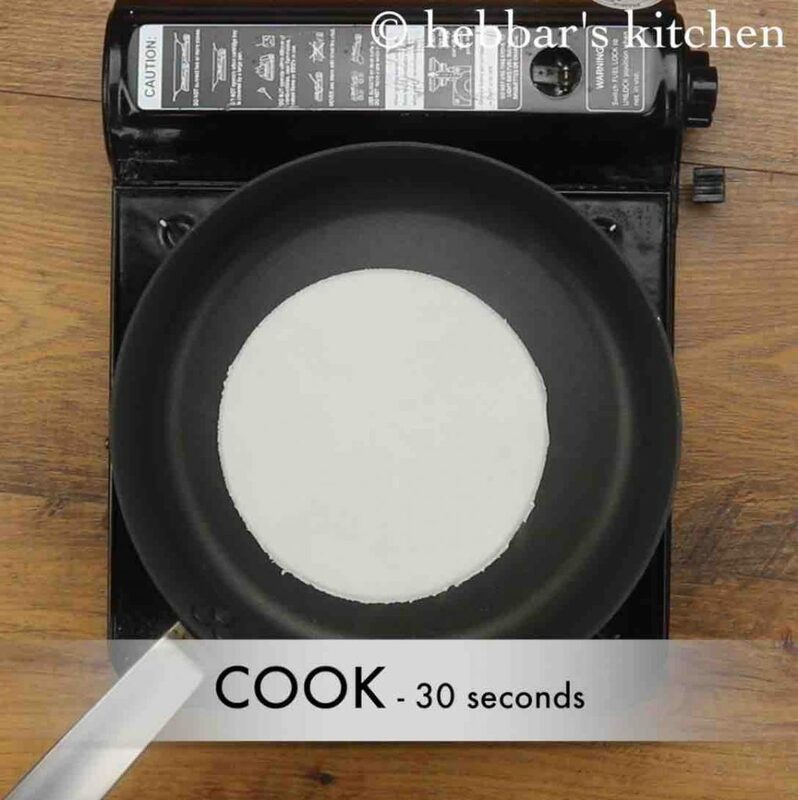 cook for 30 seconds on low to medium flame without browning it. flip over and cook both sides. 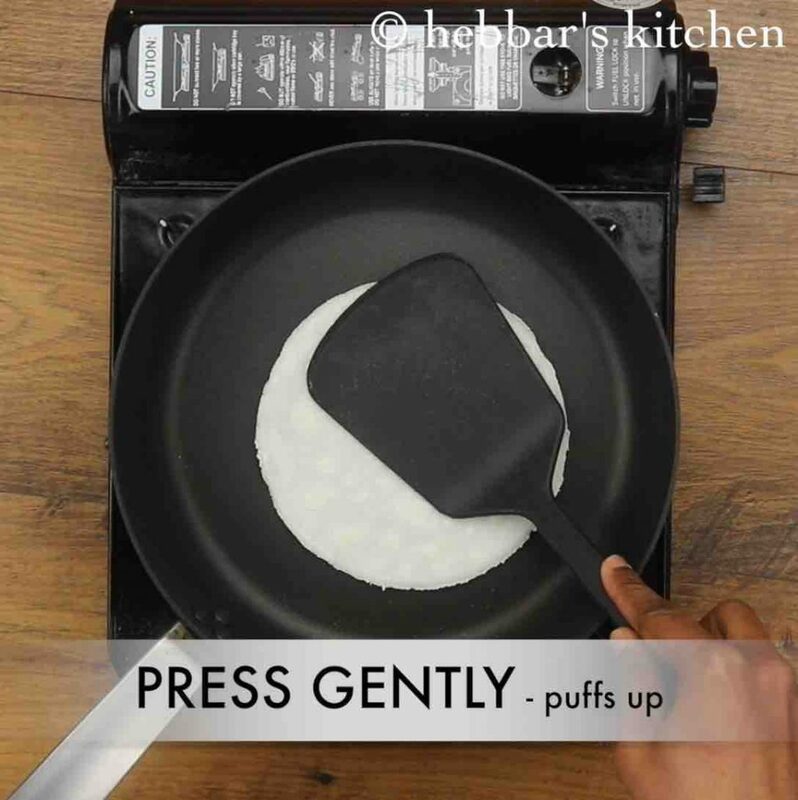 press gently puffing up the pathiri. do not roast more as the roti turn hard. 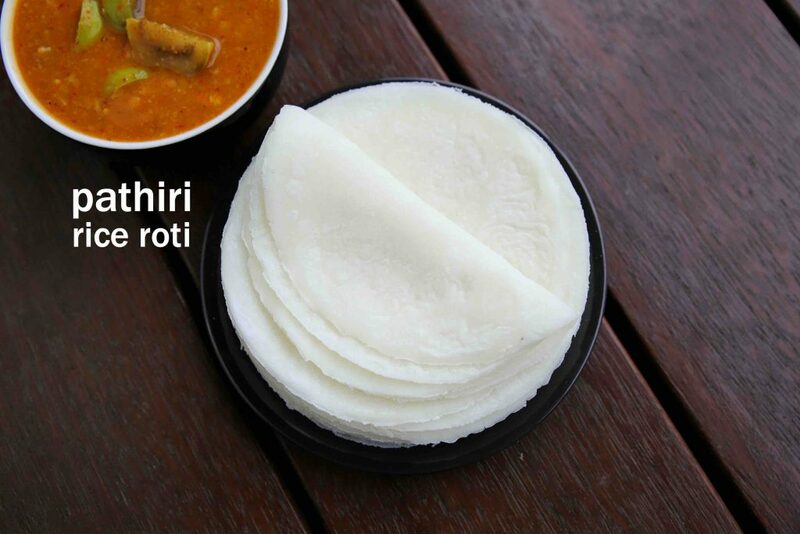 firstly, use fine rice flour to have smooth and soft rice roti. also, knead the dough when it is hot/warm, else it is difficult to have soft pathiri. additionally, adding coconut oil helps to get a non-sticky dough. 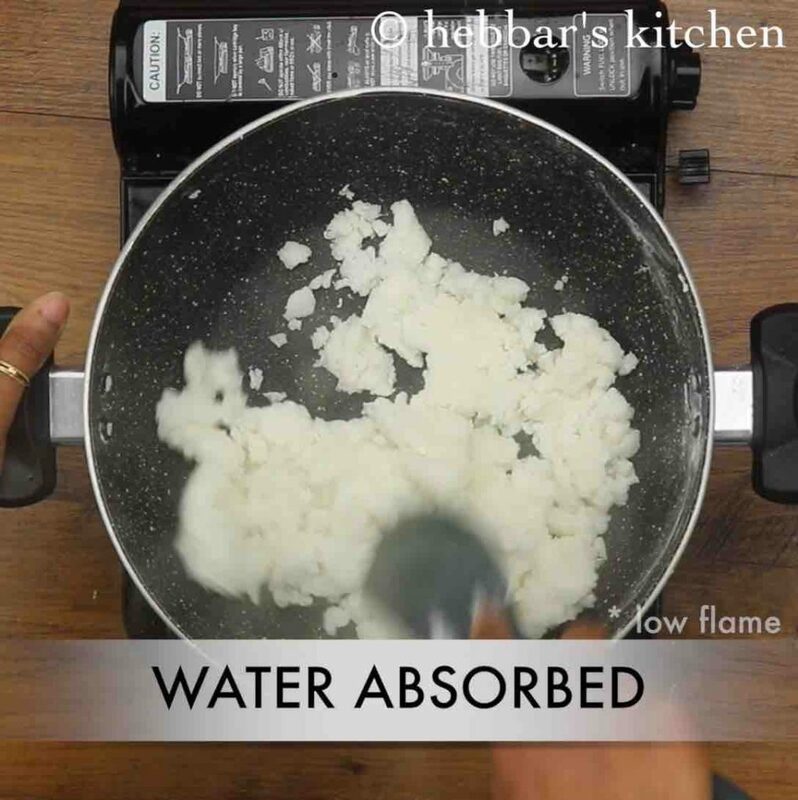 furthermore, add more water if required depending on the quantity of rice flour. 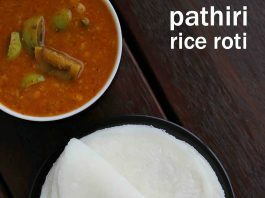 finally, ari pathiri recipe tastes great when prepared soft and served with spicy curry.